Antra Borofsky, Ed. M. and Richard Borofsky, Ed.D are master teachers in the art of intimacy. 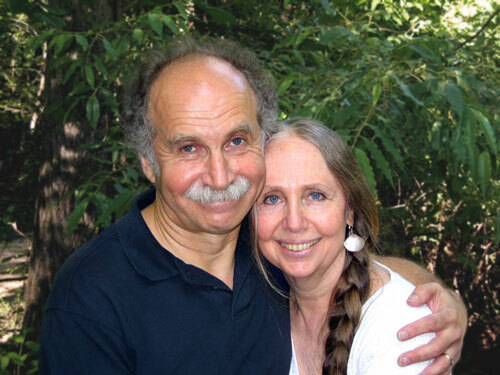 Their loving presence, clarity, compassion, and lively humor are the fruit of over 45 years of being together as a couple and over 35 years of working as couple	therapists. Their special gift is their ability to authentically embody what they are teaching. Antra and Rich are the founders and directors of the Center for the Study of Relationship in Cambridge, Massachusetts, where they provide therapy and workshops on the practice of relationship for couples and individuals. They also frequently teach their “Being Together” workshops at holistic education centers such as Omega Institute, Kripalu, and Rowe Conference Center. During the summer, they lead retreats for couples on a beautiful wilderness island, 10 miles offshore from Acadia National Park in Maine. Antra is a Gestalt therapist, a marriage and family therapist, and has been in private practice since 1977. In addition to her work with couples, she is a personal coach for business professionals and has led numerous retreats for CEOs who are members of the Young Presidents’ Organization (YPO). Rich is a clinical psychologist and has been in private practice since 1972. For two decades he was co-director of the Boston Gestalt Institute and an Instructor at the Harvard Medical School. He has also been a Zen student since 1985. Both of them received their graduate degrees from the Harvard Graduate School of Education. Together they have presented their work at numerous graduate schools, including Harvard Medical School, Harvard Business School, Harvard Divinity School, Massachusetts School of Professional Psychology, and Boston University. Also, they have given workshops for religious organizations such as the Society for St. John the Evangelist, the Unitarian Universalist Association, The Paulist Center and Tibetan Buddhist Shambhala centers. They also have led workshops in both business and public education settings. They are contributing authors to Right Here with You: Bringing Mindful Awareness into Relationship, On Intimate Ground: A Gestalt Approach to Working with Couples, and Wisdom and Compassion in Psychotherapy. They are also one of the couples featured in Secrets of Great Marriages. They have produced CDs and DVDs about their work with couples as well as a reading of love poetry and prose which is part of Joyful Wedding: A Spiritual Path to the Altar. They both enjoy helping couples create ceremonies that express their deepest vision of what love and marriage can be and have occasionally performed weddings. They also create performances of poems, plays, and stories dealing with the process of being together as a couple. In 1995, they were given the Best of Boston award by Boston Magazine for their work with couples.